You are currently browsing the The Hart Orthodontics Blog blog archives for June, 2013. Have more questions about orthodontic treatment? The Hart Orthodontics staff is always ready to answer all of your questions and help you get the most out of the treatment plan prescribed for you by Dr. Patrick Hart! Here at Hart Orthodontics, we know that image is everything. At an age when image is so important, the thought of having metal brackets and wires constantly attached to the teeth may intensify the already-delicate confidence of today’s teens. But not to worry! There is a clear alternative to traditional braces! The team at Hart Orthodontics thought we’d remind you that Invisalign Teen gives you a whole new way to wear braces for a “clearly” amazing smile! So how does Invisalign Teen work, you ask? Much in the same fashion as Invisalign, but with a few added characteristics tailored specifically to teenagers’ lifestyles. For instance, Invisalign Teen is designed with “compliance indicators” that fade from dark to light during the two-week period during which that particular tray is used. 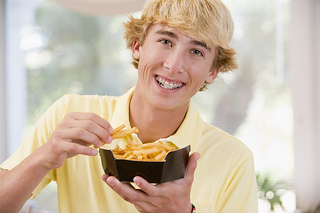 Once the indicator has faded, teens know to change trays. Each aligner comes with up to six free individual replacement aligners in case the original aligner ends up lost or broken, which is another big benefit for the patient! The treatment period for Invisalign Teen varies from nine to 18 months, but can vary depending on each case. If your teen is considering orthodontic treatment, please contact us at our Woodbridge, VA office and we’ll answer any questions you may have about Invisalign Teen. One exciting part about wearing braces from Hart Orthodontics is getting to choose the colors of your rubber bands. Orthodontists place elastic bands, or ligatures, over each bracket to secure the archwire in place. These rubber bands may be individual or connected, depending on your mouth’s needs. From Dr. Patrick Hart, you have the option of choosing the color of your elastics, which are changed about once every month at every visit. Our offices keep a color wheel handy to help you choose which ones suit you best! In honor of June being Dairy Month, Dr. Patrick Hart and our team at Hart Orthodontics would like to remind our patients about the importance of dairy to your overall health! 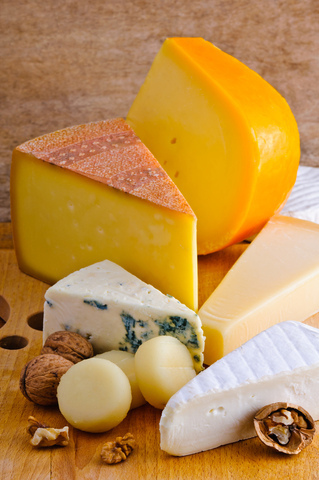 Regular consumption of dairy products, such as milk, cheese, and yogurt, has been found to lower your chances of contracting gum disease (also known as periodontal disease). Those who consume at least 55 grams of lactic acid a day are less at risk for gum disease. Eating dairy is not just healthy for building strong bones, but is essential for maintaining a strong, healthy mouth and a smile that will last a lifetime. Questions about which foods you should steer clear of and which you should enjoy? Give us a call or ask us on Facebook!